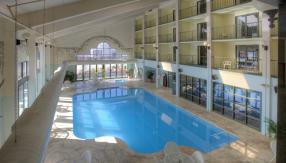 This full-service hotel offers complimentary breakfast and a large indoor pool on 76 Country Boulevard. Dubbed “The Live Music Show Capital of the World,” Branson balances its show-tune sheen with down-home hospitality. Stationed in the Ozark Plateau, the city celebrates its Southern heritage with a mouthwatering helping of casual cooking joints—think crispy chicken-fried steak and gooey mac ‘n’ cheese—and plenty of comedy clubs dishing out cornball humor. When you’re not taking in a performance along 76 Country Boulevard, drop a line in Table Rock Lake, check out the interactive exhibits at the Titanic Museum, or scream atop the roller coasters at Silver Dollar City. Located on Branson’s 76 Strip, Lodge of the Ozarks is a rustic getaway with amenities meant to delight couples and families alike. Each Premier Room is appointed with one king or two queen beds, a full bath, and a sitting area with cable TV and complimentary Wi-Fi. Adults will appreciate the fitness room, while families will enjoy the large indoor pool. Premier King – Our luxury King size rooms are the crown jewels of the property. These luxury rooms offer a king size bed, table and chairs, kitchenette with refrigerator and microwave, jetted tub, granite countertops, LCD TV, Cable TV, Free HBO, coffee maker, hair dryer and Free Wi-Fi. 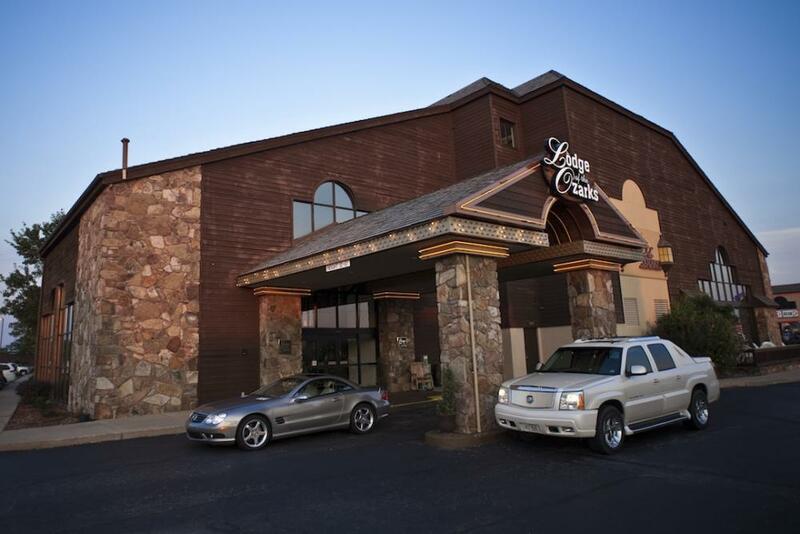 Value King – Our value accommodations are an economical way to enjoy the Lodge of the Ozarks hotel. With original charm, these guestrooms offer a king size bed, table and chairs, refrigerators, jetted tub, Cable TV, Free HBO, coffee maker, hair dryer and Free Wi-Fi. Premier Double Queen – These luxury rooms incorporate both the rustic lodge allure along with modern amenities. This room type is outfitted with two queen size beds, accent chair, LCD TV, Cable TV, Free HBO, coffee maker, hair dryer and Free Wi-Fi. Value Double Queen – Our value accommodations are an economical way to enjoy the Lodge of the Ozarks hotel. These guestrooms offer two queen size beds, accent chair, Cable TV, Free HBO, coffee maker, hair dryer and Free Wi-Fi.